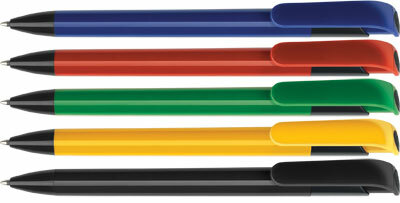 Retractable ballpen with a coloured body and black trim. Generous print areas on both barrel and clip. 24hr and 3 day printing service available on this item.